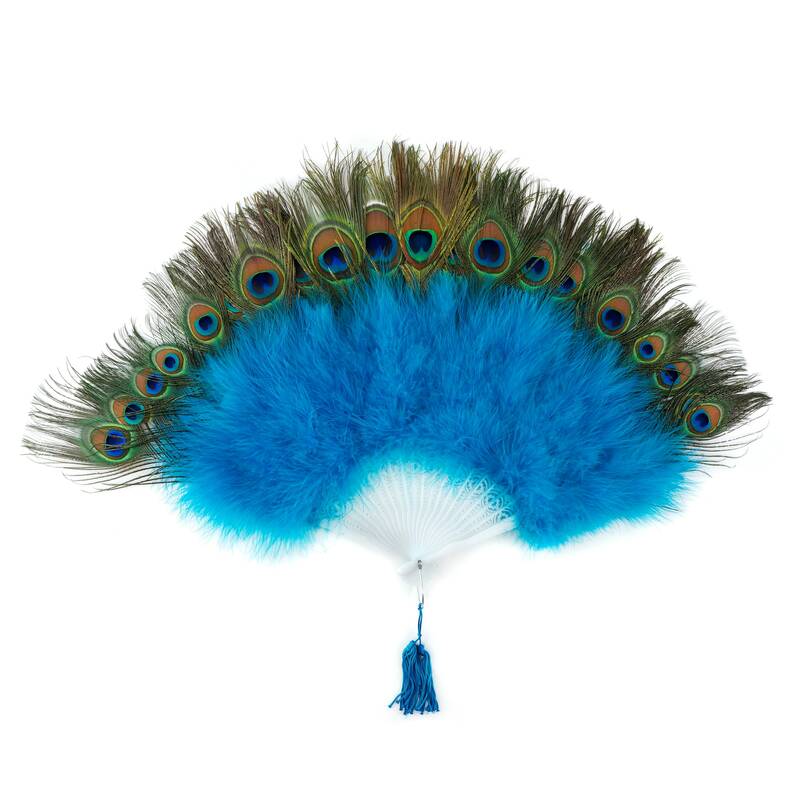 Marabou Feather Fan w/Peacock Feathers are handmade with soft Marabou Feathers and is tipped with Natural Peacock Eye Feathers. When fully open, this fan measures 15x27 inches. This fan has 21 decorative plastic staves, each connected with a color coordinated tassel tied metal ring. Marabou feathers are applied to the fan staves leaving approx 4" of stave showing at the bottom. The Natural blue and green colors of the Peacock Feathers makes this a dramatic fan. Available in Dark Aqua, Dark Turquoise, White and Black. 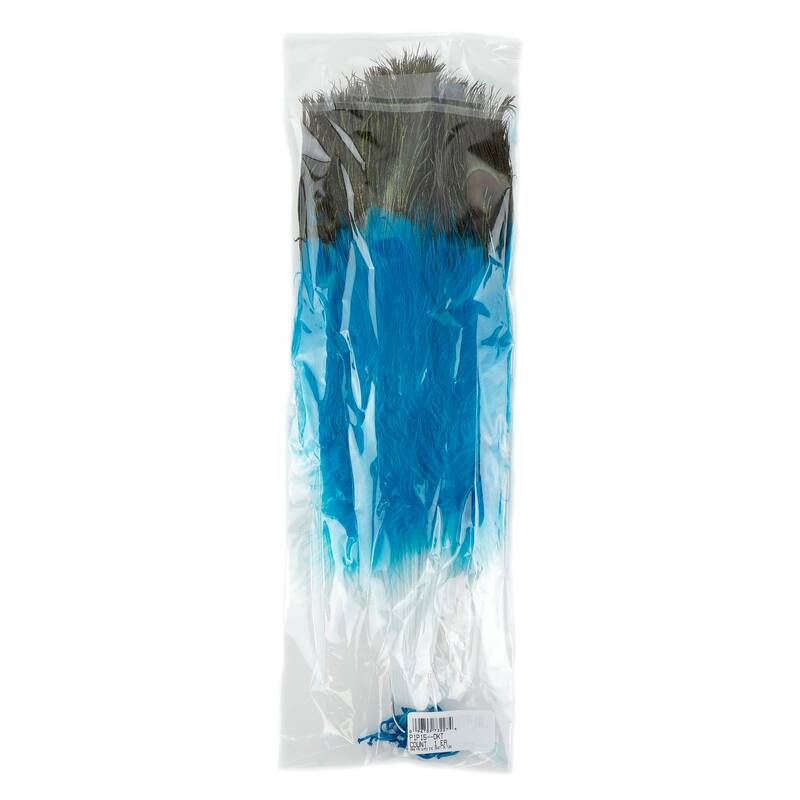 This product is part of our Feather Fans & Fan Staves - Peacock Feather Fans category.